We believe you should have a chance to discover if Eximius Chiropractic is right for you, and we believe that you should be able to make this discovery without any pressure or gimmicks. It is this belief that has people raving about our consultation. That just doesn’t seem right to us. After all, most people don’t buy a car, and then read the brochure. It’s usually the other way around. Now let’s say that you’re just curious about chiropractic, the varieties of chiropractic care and what sets us apart from other chiropractors in the area, but you don’t necessarily want to sit down with the doctor. No problem…we got you covered. Every two weeks, Dr. Zyrowski presents a 20 – 30 minute workshop that will have you walking away a chiropractic genius. At the end of the presentation there is even a Q&A where any and all questions are answered, including duration of care, insurance, finances and just about anything you could ever want to know. Please be so kind as to let us know that you’re coming by calling our office at (586) 263-1376. What do I need to know before me exam? What can Eximius Chiropractic do for me? How do I work with Eximius Chiropractic? The consultation usually takes about twenty minutes, more or less, after which you may choose to have an examination. There is no obligation. We just want you to know that exam blocks are always available immediately following a consultation. One of the biggest differences between a traditional chiropractic office and our practice is to first understand the goals of traditional chiropractic care. These are excellent goals and there are many chiropractors in the area that do an excellent job at providing you with traditional chiropractic care. 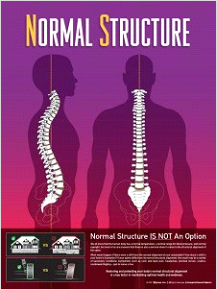 At Eximius Chiropractic, our objective and our focus is Neuro-Structural Chiropractic Correction. 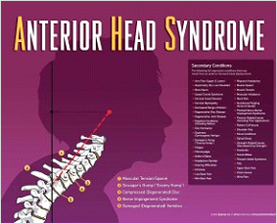 In the vast majority of cases that make their way to our practice, often as a referral from other chiropractors and medical doctors in the area, is a significant Neuro-Structural Shift. These Neuro-Structural Shifts are the underlying cause that often reveal themselves as “symptoms” – or what Neuro-Structural Doctors refer to as Secondary Conditions. Neuro-Structural Chiropractic Correction focuses exclusively on the correction of the underlying cause – the Neuro-Structural Shifts. we look, including the gauges and warning indicators on the dashboard of your car… letting you know when things are abnormal. The body uses symptoms as warning indicators of a potentially more serious condition. A Neuro-Structural Shift is just such a condition that may be the cause of your symptoms. Our office focuses on detecting and correcting these shifts so that the body can heal on its own and you can be symptom-free. What Are My Treatement Options? While it is not our intent to render an opinion specific to other chiropractic and non-chiropractic options, it is our goal to provide you with objective information so that you are able to make a decision that you believe best for you. It should come as no surprise that we get calls from relatives of patients, asking us questions about their health challenges. It is more important for us to know that people see us as a resource than having them under our care. That’s just how we roll. After a consultation with the doctor, a prospective patient may elect to proceed to our Neuro-Structural Chiropractic Examination. The examination may also be scheduled for a later time if you so choose. As always, the decision is yours and there is never any pressure. The Neuro-Structural Chiropractic Examination is comprehensive, which means that you should safely plan on allotting no less than 45 minutes of your time. The Neuro-Structural Chiropractic Examination is not only designed to detect Neuro-Structural Shifts, but allows for a better understanding of “normal” – and a complete understanding of the underlying cause of your condition. After your examination, you will be scheduled for a conference where we will explain our findings, how we can help you, and how things work if you should decide to work with our practice. 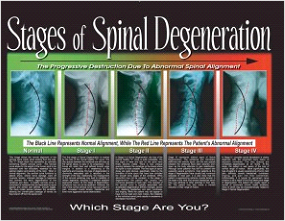 Understanding that there are very few chiropractors across the USA focusing on Neuro-Structural Chiropractic Correction, we believe that it’s important for you to understand how we are different from traditional chiropractic, what makes us unique, and how we approach your health challenges. We will detail exactly how Neuro-Structural Chiropractic Correction – along with Structural Chiropractic spinal remodeling exercises and some additional recommendations, will restructure your spine. We will explain how an underlying Neuro-Structural Shift (if detected during your examination) is directly attributable to your diagnosis. Most of our patients are referred to us by other patients, their medical doctor, or their current traditional chiropractor. The reason that our practice was built on referrals is because of simplicity and transparency. » Step 1: Schedule a complimentary consultation. » Step 2: If you like what you hear, schedule a Neuro-Structural Chiropractic Examination. » Step 3: After your exam, we’ll schedule a conference where we will review what we found and how we can help you. Immediately following your conference, you will receive your first Neuro-Structural adjustment. Because your first Neuro-Structural adjustment is a bonus that is included in your examination fee, there will be no additional charge. We do this so that you are, as the saying goes, an informed consumer. We want you to know what an adjustment feels like before initiating a relationship with our practice. The day after your conference and first adjustment, you will get a call from us to see how you’re doing and answer any questions that you may have about the adjustment, our recommendation for care, etc.. That is the last time you will hear from us. You will not receive a free iPod®, nor a coupon for a free dinner, for signing up. You will not be solicited in any way, shape, or form. If and when you are ready to start improving your health under our care, we will be here. Now, let’s say that you’re just curious about chiropractic, the varieties of chiropractic care and what sets us apart from other chiropractors in the area, but you don’t necessarily want to sit down with the doctor. No problem…we’ve got you covered. Every two weeks, Dr. Zyrowski presents a 20 – 30 minute workshop that will have you walking away a chiropractic genius. At the end of the presentation there is even a Q&A where any and all questions are answered, including duration of care, insurance, finances and just about anything you could ever want to know. Please be so kind as to let us know that you’re coming by calling our office at (586) 263-1376.